Meanings is not a book to give direct answers to such questions. There is nothing here that you can take up as a belief, an empty speculation or a theory. The author, Ven. 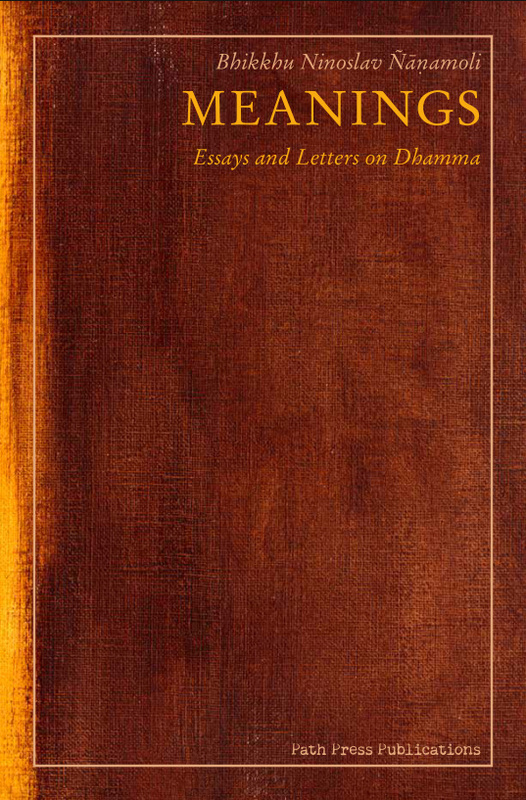 Ninoslav Ñāṇamoli, refrains from explaining Dhamma, an act which he regards as mere psychological investigation and linearly-connected facts. Here is no intent to set up a fixed theory. What the author does do is describe the nature of experience as it is: not about this or that problem or fact in the world, but the experience as such—Dhamma, which has to be investigated with proper attention e.g. seeing the present simultaneous relationship of an arisen thing and its determination. With proper attention, the being of things is gradually revealed—and not understanding the nature of this being, the author says, is the fundamental ignorance. He then describes nothing but the nature, the dhamma, of things—not by looking for the meaning, but understanding meanings.